Tenth Avenue Band includes all kinds of brass, woodwind stringed and percussion instruments. 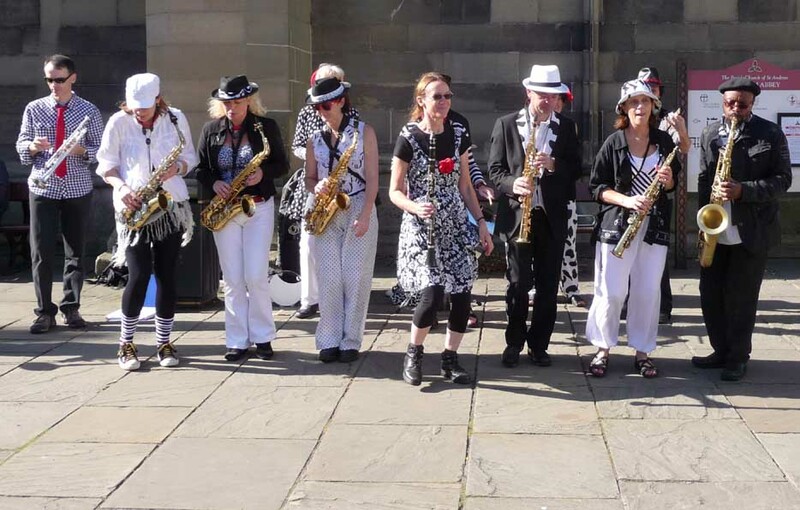 Our line-up varies, but whether we're performing as a small group or a raucous ensemble you can be sure we'll liven up any event! Amongst our members there is a wide range of ages, musical abilities and performance experience, but we all enjoy the challenge of working together to help one another improve and to bring live music to the streets of the north-east and beyond.